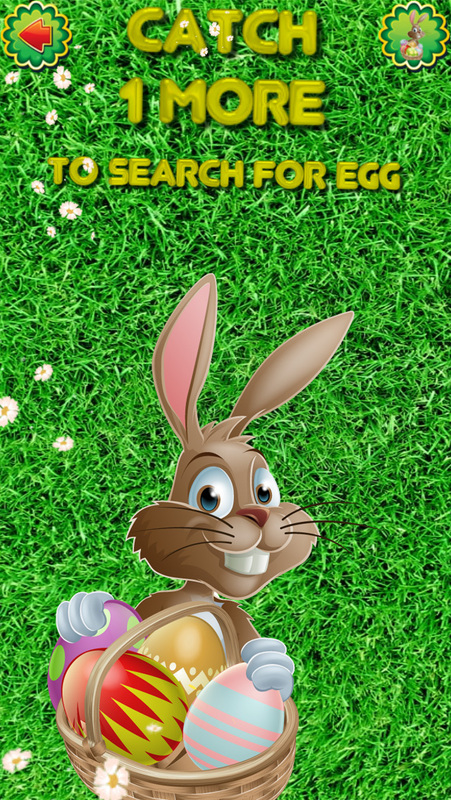 "Easter Find The Pair 4 Kids" is a memory board game designed for children of all ages, babies, preschoolers, school children and pre-teens but adults may also enjoy the game - fun for the whole family! Rules are simple: match pairs as quickly and with the fewest mistakes as possible and get rewarded with eggs. When you collect 4 eggs, you can play the "Find the Easter Egg game". Watch the tiles for a few second and try to memorize them. 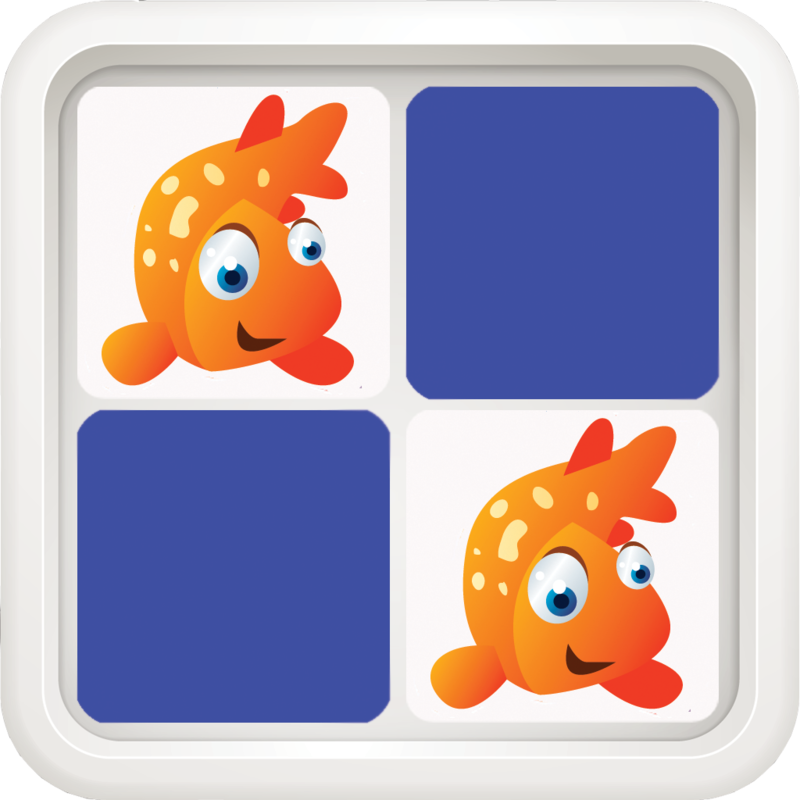 The tiles turn and hide and you are offered a choice of three tiles to hit. 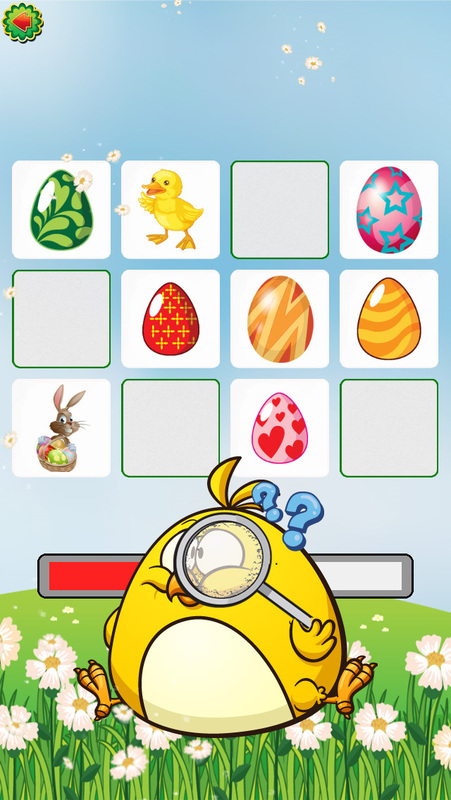 Main features of "Easter Find The Pair 4 Kids"
• collect eggs to play the "Find the Easter Egg game"
After each memory game you are awarded with 0-4 eggs, depending on the playing performance. 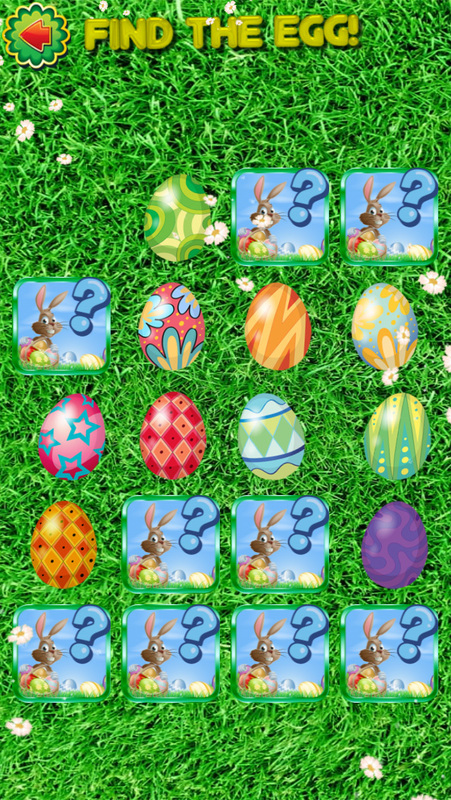 If you collect 4 eggs you can play the "Find the Easter Egg game". You can change the songs by taping the bell on the main screen. 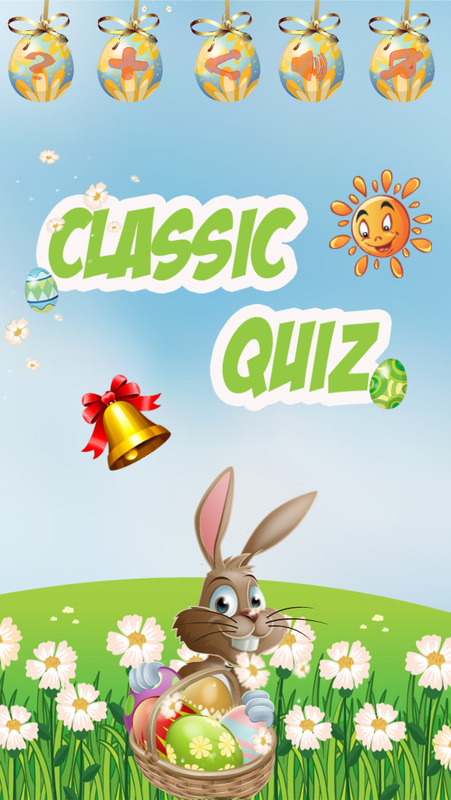 Please share the Easter spirit by sharing the game - tap the Sun on this screen or the main screen.